Location: At the end of private drive off Station Road. A footpath runs parallel to the drive giving access to the north end of the platform which is a public woodland. 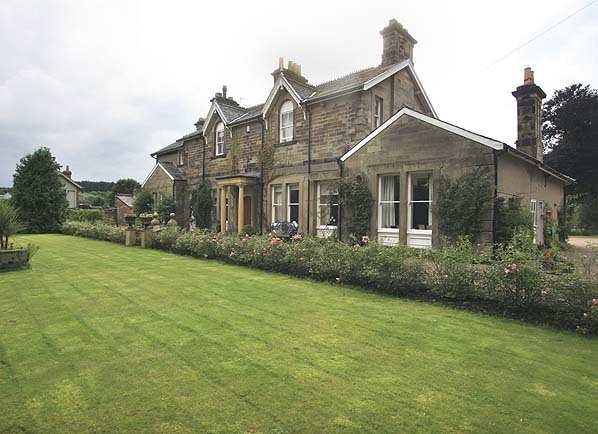 Present state: The station building has been restored as a private residence, within the property the 'down' platform survives but the trackbed has been filled in up to platform level and is grassed. There is no evidence of the 'up' platform. A small stone building also survives in front of the station building, it appears to be of railway origin but its purpose is unknown. To the north of the station the signalbox has been separately restored. A coal merchant, J H Wright & Sons, still occupies part of the goods yard and the large goods shed is still extant. 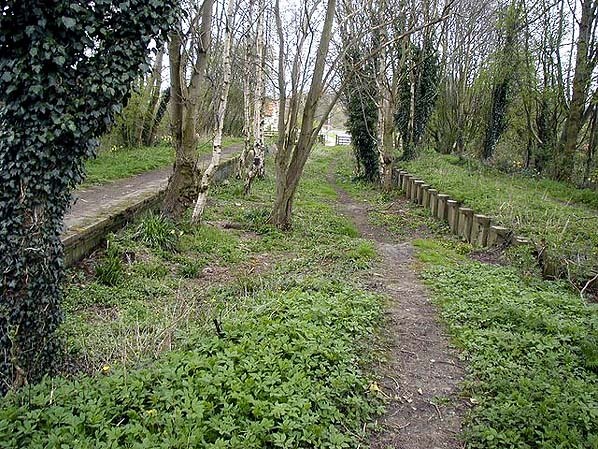 The north end of the station site was restored as a small naturally regenerated woodland known as the 'Old Railway Line Conservation Project', a footpath runs along the 'down' platform where two interpretation boards with a brief history of the station with photographs have been mounted. The 'up' platform is still extant in this area although the edge stones have been removed. Notes: Helmsley was the largest station in Ryedale, handling the most freight traffic although it was beaten by Kirbymoorside for passenger traffic. Most of Helmsley town and the surrounding countryside was owned by the Earl of Feversham who required certain conditions to be met by the NER before giving permission to build the line and a station at Helmsley. He stipulated that the station should have first and second class waiting rooms for ladies and gentlemen, a sufficiently large goods yard to cater for local and his needs and he also he had to be consulted on the architecture of the station. 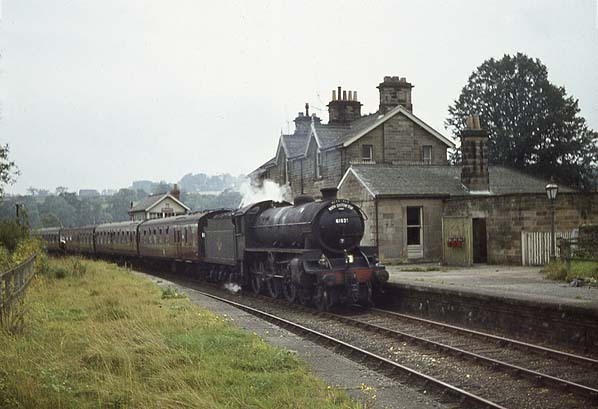 As a result, Helmsely was more lavish than any of the other stations on the line with a passing loop and two platforms, the main two storey station building was on the 'down' platform with single storey end wings projecting back and front; the wings were joined by an awning supported by cast iron columns at both the back and front of the building. The station lit by gas supplied by a local gas works and this lighting remained in use through the stations life. To ensure that the railway continued to comply with his wishes the Earl was given a seat on the NER board in 1872. As well as the four waiting rooms there was also a general waiting room in the main building, with a timber waiting room on the 'up' platforms. The ladies and gents waiting rooms were rarely used and were eventually converted into two flats. There was a signalbox just beyond the south end of the 'down' platform controlling access to the extensive goods yard on the down side of the line with five main sidings, one of them serving a small stone goods warehouse. A larger warehouse was built in 1912 and later, a prefabricated concrete warehouse was also built. Close to the warehouse, there was an end loading cattle dock that was also used to load tanks in WW2. In 1879 a stable for one horse was built in the yard. Other facilities in the yard included coal drops, a carriage dock, weighbridge and weigh office. Helmsley was provided with a timber engine shed on opening for one locomotive which hauled the first train to Gilling each day and the last train back. When the line was extended to Kirbymoorside the shed was removed. The main commodity handled at Helmsley was timber and at one time seven timber merchants conducted business in the yard. In 1918 a 3½ mile tramway, including a 1 mile long incline was laid from the yard to the Waterloo Plantation in the Feversham Estate with three exchange sidings at the edge of the yard. During WW2 the station also handled a large quantity of livestock, especially sheep that had been bought by the Ministry of Supply. Although closed to passengers in 1953 the station saw regular passenger use until 27th July 1964 with a range of excursion trains using the station, these included shopping, ramblers and football excursions, Sunday school outings to Scarborough and the usual enthusiasts specials. The last passenger train was one of the Sunday school excursions. The York, Newcastle & Berwick Railway merged with the Leeds Northern Railway on 31st July 1854 to form the North Eastern Railway. The MDR also applied to join the new company which it did on 28th October 1854. The line’s initial passenger services were between Thirsk and Malton and in 1856 there was one train shuttling to and fro three times a day with one daily pick-up goods train and from 1860 a daily mineral train. 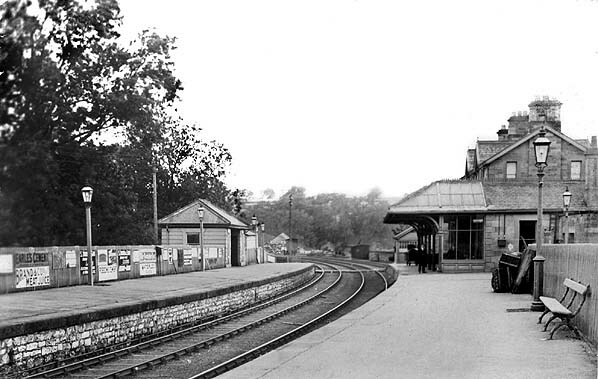 Intermediate stations were provided at Coxwold, Ampleforth, Gilling, Hovingham, Slingsby, Barton-le-Street and Amotherby an eighth station at Husthwaite Gate at the west end of the line opened in 1856. WW2 brought an increase in both passenger and goods traffic to the remaining section of the line but this dropped off quickly after the war as road transport continued to make inroads into the rapidly declining passenger and freight receipts. 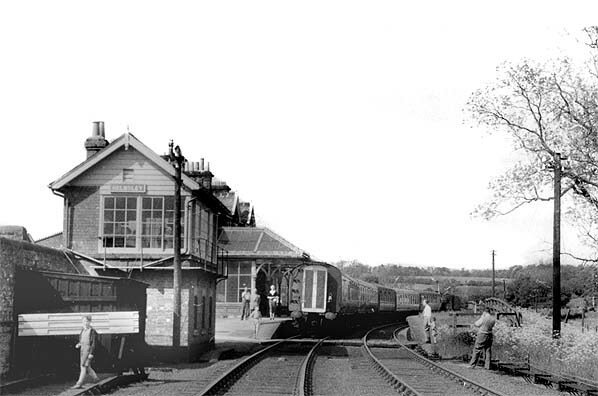 Ampleforth Station closed in June 1950 and in 1952 there were rumours that the York - Pickering service was under threat as the line was running at a loss with many passengers being lost to the more convenient bus services. Closure was announced for 2nd February 1953 with the last train running two days earlier. 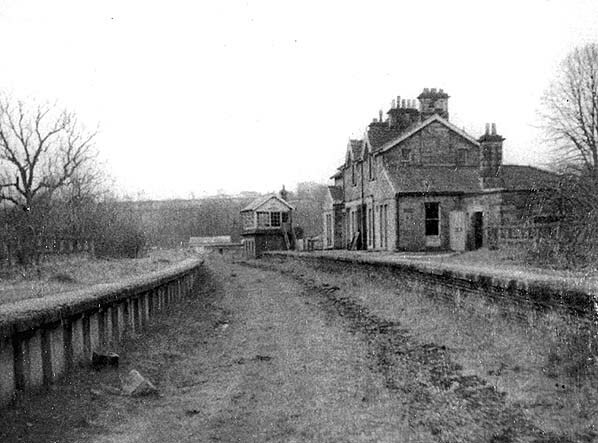 With the exception of Sinnington the remaining stations remained open for freight traffic and special passenger excursions from the west. The line between Kirbymoorside and Pickering was closed completely and the track was lifted shortly afterwards. were also provided to carry pupils. In 1923 the college went over to electric lighting and the gas works closed and the tramway was taken out of use. From the 1930’s up to 1964 there were two special ‘school trains’ at the beginning and end of each term, usually to and from London King’s Cross and Leeds or Liverpool, with one to summer camp at the end of July. 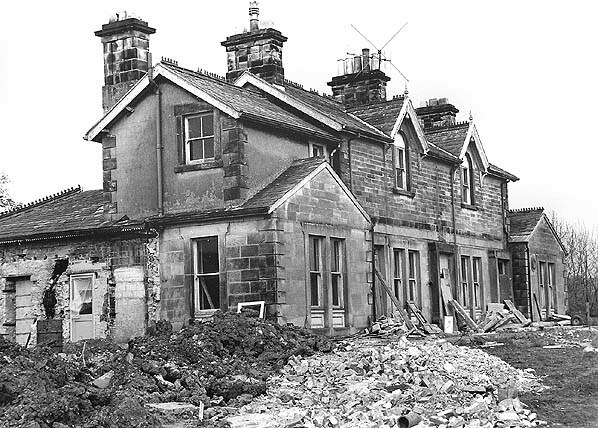 Helmsley Station in May 1972 during renovation of the building. Helmsley Station in September 2008, the signalbox can be seen behind the tree on the left.